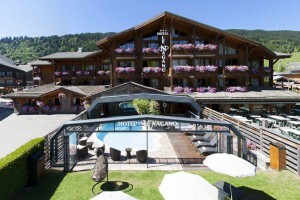 Les Gets is fabulous family friendly resort with so much charm and a very warm welcome. Being within an hour and half of Geneva airport it makes for a great inclusive, accessible and assisted ski or summer holiday. Ski 2 Freedom has been working with ESF Les Gets from the beginning of our work! Carole Gaultier (ESF Instructor for adaptive and assisted skiing) was one reason why we thought so much of the ski school (sadly she has now moved to Samoens) but her great empathy and understanding, especially with children who have learning difficulties, autism, Down's Syndrome and other similar needs was superb. Now we have every confidence that all the ski instructors who can offer help with adaptive and assisted skiing will give you and your family one of the most enjoyable and memorable times! The ski school has a number of instructors for those who are blind and visually impaired or have a physical life-changing condition. Les Gets is also the ski area and summer activity domain for Annemasse Handisport. So the village and community are very aware of trying to meet the needs of anyone visiting who has a medical or health-related condition. This also means that Ski 2 Freedom has enormous confidence in the ski instructors and region to help our beneficiaries. Située entre lac Léman et Mont Blanc et partie intégrante du domaine franco-suisse des Portes du Soleil, la station de ski des Gets, qui dispose de 120 km de pistes désservies par 48 remontées mécaniques, est le principal terrain d'exercice d'Annemasse Handisport, notamment sur le domaine des chavannes. La Sagets soutient formidablement notre action et nous accompagne dans la pratique de nos activités handisportives; ce qui nous confère des conditions exceptionnelles pour réaliser nos sorties. If you, a friend or family member have any of the following then Les Gets might work brilliantly for your ski or summer holiday. This is by no means an exhaustive list (it would be impossible to include every condition) but many have similar or common factors. As often someone may have a condition that we have not yet come across please do ask us if you are interested in the resort and we can try to help. 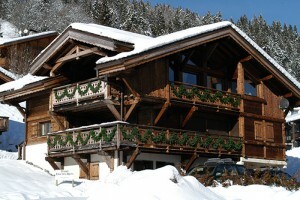 Les Gets has a great selection of hotels, apartments and chalets suitable for all visitors. Accessible accommodation in Les Gets is also available for wheelchair users (dependent on type of wheelchair) and those with limited mobility. Wheelchair accessible + rooms with accessible shower and bathrooms. Located across from the ski slope it makes for a perfect place to enjoy a fully inclusive and accessible ski or summer holiday. 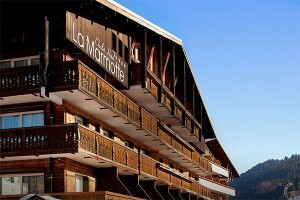 To request further in-depth and comprehensive information on Hotel Marmotte contact us. 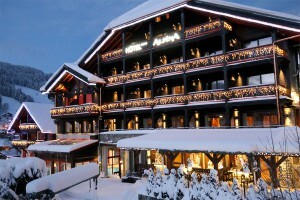 To request further in-depth and comprehensive information on Hotel Alpina contact us. To request further in-depth and comprehensive information on Hotel Nagano contact us. For more information on mountain activities in Les Gets please contact us. Ski 2 Freedom has been working with ESF Les Gets from the beginning of our work! The ski school has a number of instructors for those who have autism, cerebral palsy, are blind and visually impaired or have a physical life-changing condition. We can't recommend this ESF more highly!! and nor can our beneficiaries! Ski 2 Freedom has been working with ESF Les Gets from the beginning of our work! The ski school has a number of instructors for those who are blind and visually impaired or have a physical life-changing condition. We can't recommend this ESF more highly! To get a better idea and understanding of the ski resort of Les Gets and what else they can offer you for your holiday, we suggest you look up their website as every Tourist Office offers a fascinating and exciting insight into what they and the surrounding area can offer visitors. In addition many have a dedicated website or page for those who are in need of assistance, disabled, with young children and babies and those of us just getting on a bit in life! We are delighted to work with and have the support of the following organisations in Les Gets. 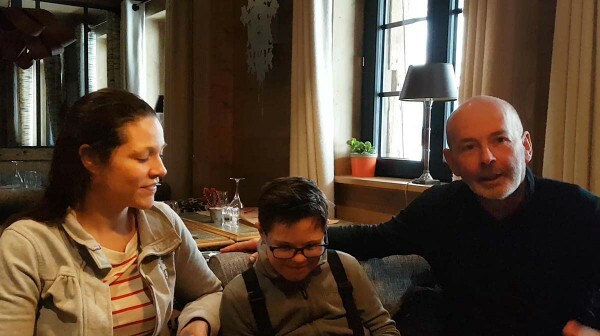 The following are delighted to share their experiences with you on how Les Gets was able to assist and empower them to have a life enhancing winter and ski holiday. If you would like to speak directly with one of our beneficiaries please contact us so we can put you in touch – sometimes sharing a similar condition can be most reassuring especially for first timers! All the news, feedback articles and press releases illustrate how Les Gets helps to enhance people’s lives. 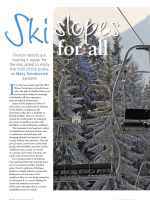 Also, in many cases, showing how Ski 2 Freedom works in close association with Les Gets to help raise awareness of the empowering benefits of mountain activities such as skiing and promoting accessible, social and inclusive tourism. If on reading our Les Gets page, you have your own experiences and feedback of the resort (winter or summer) that you would like to share or feel would be encouraging to others, please do not hesitate to send them to us for inclusion on both our website and social media – photos and film clips also welcome. 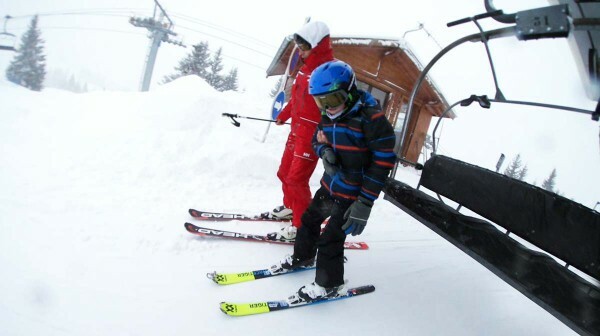 Pure Mountain is a small, family run ski chalet company based in the French resort of Les Gets. "We first heard of Ski 2 Freedom in June 2011 when Catherine contacted us to see if we could work together to provide ski holidays to guests with disabilities (one of our chalets is located in the centre of town with good wheelchair access). 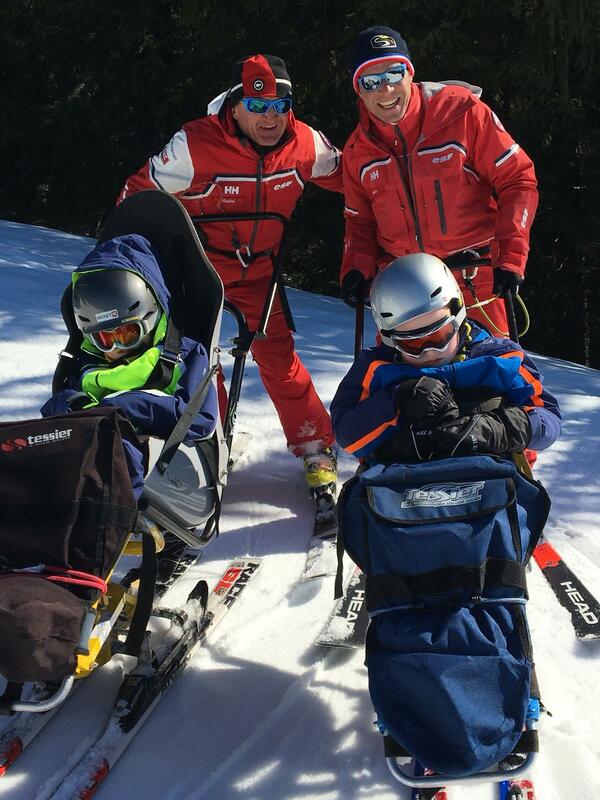 Having seen first hand the difference that they make, we are proud to be working alongside Ski 2 Freedom to enable those with disabilities to experience the restorative power of the mountains. Keep up the great work Catherine and Team! It has been a pleasure to work with Ski2Freedom since then, and to see first hand the difference that they make and the joy that they bring to the lives of those affected by disability. We look forward to many more years of joint service!"